* Back sleeve states "Man. and Dist. by EMI Australia Limited". “FACOZ 100 7", and the catalogue number are printed on the spine. The label is dark blue and has a ring size of 1” (characteristic of EMI pressings); “FACOZ 100 7" on label. ** Back sleeve states "Manufactured and Distributed by CBS Records Australia Limited". 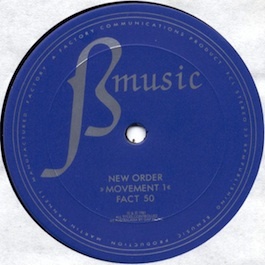 The label is light blue and has a ring size of 2.5” (characteristic of CBS pressings); “FACT 50” on label. *** Total edition of 500. Notes: Also promo poster, 30"x40", designed by ANDREW PENHALLOW.